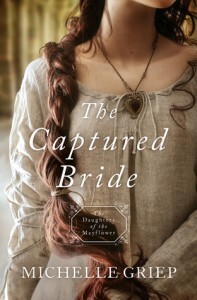 Each installment of The Daughters of the Mayflower series proves to be better than the last. In this third installment in the series, Michelle Griep takes readers on a thrilling journey into the wilderness of New York in 1759, during the height of the French and Indian War. Mercy Lytton, the protagonist, descends from the Plymouth pilgrim couple whose story opened the series, but her father was a Mohawk chieftain. Raised in that tribe, Mercy is a very independent and feisty woman with a gift of keen eyesight, which has enabled her to become a scout. Her latest mission involves working alongside a condemned traitor to transport a shipment of gold, and that is when the danger truly begins. “The Captured Bride” is written in a very engaging and captivating manner, with quaint language that makes use of terms now mostly obsolete but entertaining, such as “cattywampus.” The characters span the spectrum from good to evil and keep the reader guessing while quiet, inspirational transformations occur. Similar to Griep’s “The Innkeeper’s Daughter”, this novel also features plenty of intrigue and plot twists. Mercy, in particular, is a fascinating character; she challenges female stereotypes and wrestles with her own past and where she belongs: “This was home, this maze of trees and rock. A place where she was master, where the only one she had to be sure about was herself.” Her story evokes cultural richness and both cultural and personal reconciliation in a fashion timely for contemporary society, making this a very pertinent novel.